I'm a second semester Sophomore at JMU. When I was applying to colleges back in High School, I never really gave JMU the consideration it deserved. I applied here because, like everyone else is Virginia, I knew it was a good school. When I didn't get accepted to my first choice, I decided to come to JMU. The beginning of Freshman year, I wasn't happy here at all. Maybe it was because I was the only one from my graduating class to come here and all of my other close friends went to either Tech or UVa, or maybe it had to do with my living situation and being away from home. I didn't really get involved as a Freshman; I played intramural soccer and made some close friends in my dorm and through networking. As the year went on, I liked school a little more. As a Sophomore, I have become more involved (joined Greek life, volunteer at a close by Elementary school, etc. ), and I have truly realized that everything happens for a reason. I love JMU! I have had the best year here thus far. The campus is beautiful. It is divided up into three "sections" and all are and look very different, which is good because I never get sick of looking at the same architecture! The students and faculty at JMU are the kindest people you will ever meet. People ALWAYS hold doors, my professors show so much interest in students' success- they are always willing to help. I have made some of the best friendships here. Campus is the perfect size- big enough where you don't know everyone but small enough where you always run into someone you know. The food is great, as well as the off-campus housing, social life, and academics. What I like most about JMU, aside from the friendly and welcoming atmosphere and people, is that it provides me with opportunities that I wouldn't be able to find anywhere else. 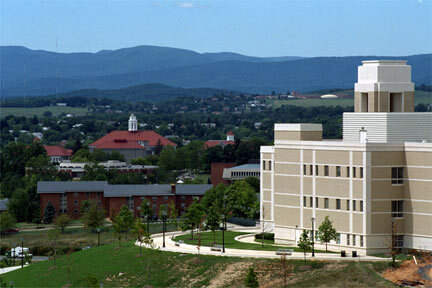 JMU is known for its number of organizations, majors/minors, and study abroad programs. The faculty here do their best to make it possible for each student to become more well-rounded socially, academically, spiritually, you name it. I am currently a Health Services Administration major (about to switch to Marketing) with a double minor in Business and Spanish. Other schools such as UVa don't even offer this major or minors. I am studying abroad next spring for a semester in Salamanca (to fulfill my Spanish minor requirements). It has always been my dream to study abroad and JMU has provided the opportunity for me to reach it. I could ramble on and on, but reading this review doesn't do the experience I've had here justice. If you are a High School senior and thinking of applying, do it. It will be the best decision you've ever made.